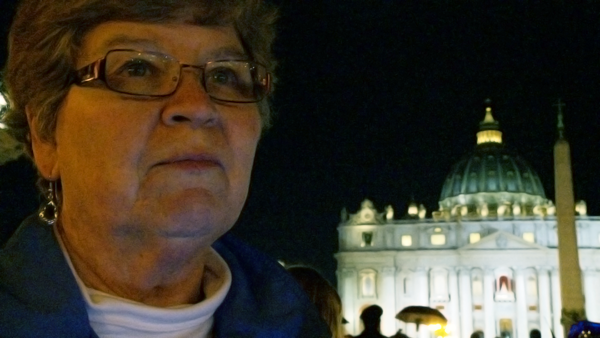 When the Vatican reprimands U.S. nuns — citing their “radical feminism” — three fearless nuns risk their place in the Church to follow another higher calling: social justice. One sister takes on Church patriarchy, another finds hope in the former prisoners she counsels, and the third launches a cross-country Nuns on the Bus tour, leveraging her newfound fame to spotlight social needs. Following their struggles through the election of Pope Francis, RADICAL GRACE captures a period of dramatic transformation as the Catholic Church grapples with the modern word. Rebecca Parrish has run her Chicago-based film company, Interchange Productions, since 2007. She has worked as an editor and cinematographer with Peabody and Sundance award-winner, Judith Helfand, Kindling Group and Kartemquin Films. 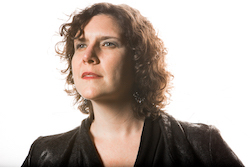 In 2012 Rebecca produced and directed the interactive web documentary and engagement campaign, Protect Our Defenders, telling the stories of military sexual assault survivors as part of an advocacy campaign to reform the military justice system. The Protect Our Defenders project won the YouTube DoGooder nonprofit video award and the Salsa Labs 2012 Hot Tamale Award for outstanding campaign organizing. Rebecca is also an editor on RADICAL GRACE. Nicole Bernardi-Reis has produced television series and films for a wide range of broadcast outlets including A&E, E!/Style, HGTV and the Science Channel. With Montrose Pictures she has produced Algren, a feature length documentary that received its world premiere at the 2014 Chicago International Film Festival. She credits her passion for storytelling to the nuns at her Adrian Dominican high school, who taught her to always seek the truth and broadcast it as far as you can.